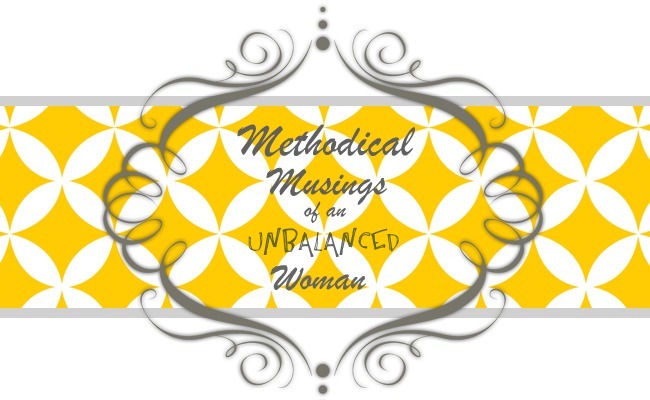 Methodical Musings of an Unbalanced Woman: "Project 'Nice Words'"
Melanie, It's a little scary to me how powerful words are, because I am reminded of the harm my words can do if I'm not careful. You're right--it's so much easier NOT to be positive and bright and deliberate in our words. It's so much easier not to try to savor the moments and the ones we love. But what rewards we garner when we do savor, when we do make the effort to choose our words wisely. Thank you for the link to the other blog. That was an amazing experiment! I have often thought... if I spoke to my friends or co-workers in the same way I do to my family (and to myself) - they would not want to be my friend anymore, and I'd probably be fired. "Project Nice Words" sounds like a great and timely project - thanks for the link to an amazing article by Hillary Weeks (plus the link she had at the end of her post...wow!!). Thinking I should join you on this quest - and also "Project Savor" (which at first glance thought it said Savior - which is somehow quite appropriate). I like project nice talk. It is true, words can build one up or strike one down and many time I think our words injure without our even realizing it. I have some negative snippets of words in my head that were only said once to me, but I believed them for a very long time and I don't think the person that said them was intending to hurt me. Thanks for posting this, and for passing Hilary's link along. Such a powerful statement to the importance of the words we choose. I think we underestimate the importance of being kind and loving toward ourselves, too. Eleanor Roosevelt said that unless we can be friends with ourselves, we cannot be friends with anyone else. I've found that to be really true in my life; the times that I heap negativity and abuse on others are the times I'm most unhappy with myself. It would be an interesting experiment to see how much positive self-talk would spill over onto the people in our lives. Thanks for the thought provoking post!